13:10 | Lima, Sep. 19. Prime Minister Cesar Villanueva on Wednesday affirmed the referendum on the political-justice reform must be held on December 9. Regional Governors election's second round will take place on that date. 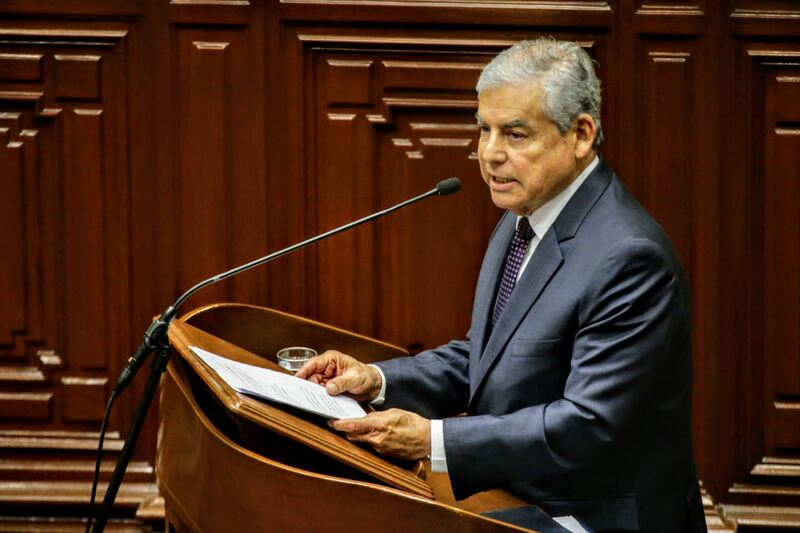 Remarks were made at Congress where he presented the confidence motion requested by President Martin Vizcarra last Sunday. At the plenary session, the Cabinet member indicated that approving the four reforms would turn into a historic decision and expressed absolute certainty that Parliament will not delay the issue any longer. "They (Congress members) will be generous with the people who voted for them," Villanueva said. In this sense, the high-ranking official affirmed the referendum is a token of gratitude to the electors since it involves their participation in politics. "They will participate (in the referendum) with faith and hope in a political class that, in the face of challenges and differences, unites with the common goal of creating a viable country," he concluded.